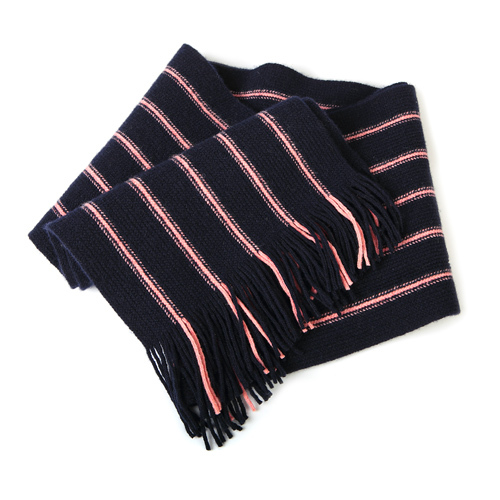 Lovely quality and stylish gentleman's Navy and Leander Pink lambswool scarf. Made in the UK. 21 cm x 160 cm. It has a label with Leander Club logo sewn onto the underside of scarf. 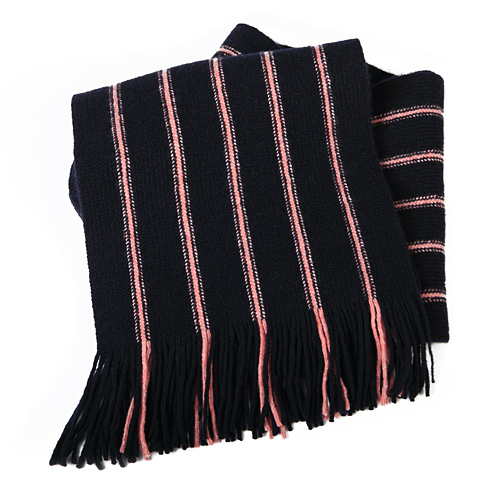 It is wonderfully soft and warm and is made in the UK by Gilbert Wilson (Hawick) Ltd. 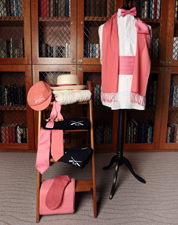 This company is based in the borders of Scotland ,the home of the Scottish Knitwear Industry, and is still run and owned by the original founders Colin Gilchrist and Jim Wilson. 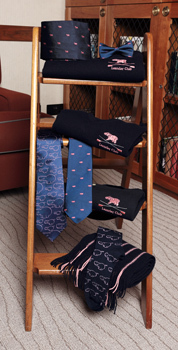 Between them, they havE some 90 years experience in the Scottish Knitwear Industry, having worked for various well known knitwear companies before setting up their own business.